Young carers in North Somerset were invited to Bristol trampoline park, Airhop to get creative and transform one of its activity spaces. North Somerset Alliance Young Carers is supported by the YMCA team in Weston-super-Mare through monthly drop in sessions, staff and resources. 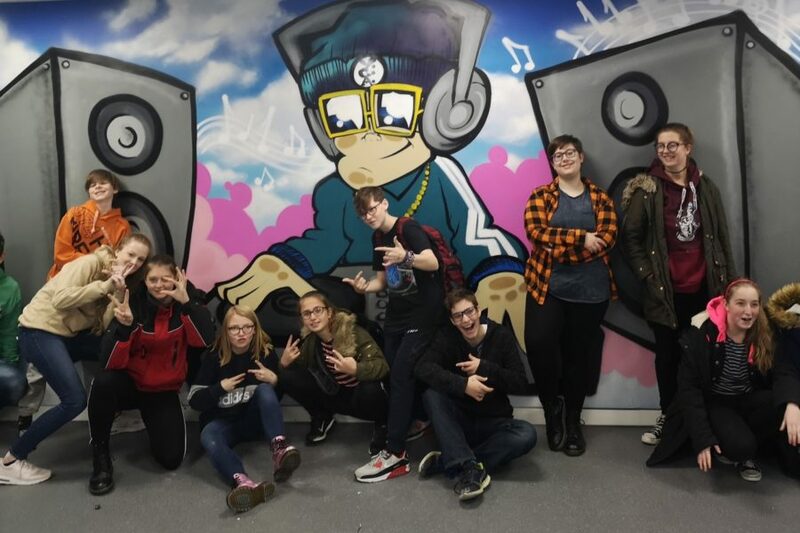 During October half term Airhop invited 15 young carers to its trampoline park in Patchway, Bristol to give one of its party rooms a musical makeover. With the help of graffiti artist, Tom Sturgess the group spray painted the space with a DJ design.